Dr. Sara Erlich (Hackensack) - Book Appointment Online! 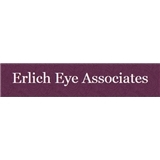 Welcome to Erlich Eye Associates, located in the heart of Hackensack, NJ. Thank you for taking the time to learn more about our optometry practice. We provide comprehensive adult and pediatric eye examinations, including eyeglass prescriptions, contact lens fittings, binocular vision evaluations, ocular health exams and emergency eye care. We ensure that our patients receive the personalized care that they deserve, and we always take the time to answer questions. We are committed to evaluating your ocular health and routinely screen for eye diseases as well as conditions such as diabetes and high blood pressure, which can affect your eyes and your overall health. We look forward to seeing you in our office! Please kindly input your insurance ID number while making an online appointment. Thank You!